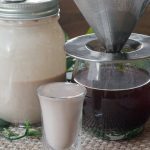 This dairy free Irish creamer is full of flavor without the additives. Paleo, Keto, low carb, vegetarian and dairy free. You can use this for coffee, on cheesecake or straight up over ice! Well, this recipe is totally in my wheelhouse! I have some Irish deep in my gene pool, not that it matters and everyone is Irish on St.Paddys day. Everyone in North America, anyways. This also speaks to my inner bartender. I used to love St. Patrick's day! The pub would be full and we would be pouring pints of thick creamy Guinness, Irish car bombs and Irish coffees. 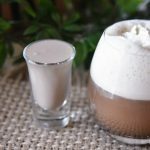 I couldn't pull off a paleo/ keto/low carb beer but this dairy free Irish cream is a big old win! Our house has a lot going on: Raj is doing a Keto challenge, I am eating paleo to try to manage a recent Hashimoto's flare, and Shalyn has been eating gluten-free, has a milk sensitivity and doesn't drink. When I sat down to brainstorm a good March 17th recipe it was hard to find something that checked all the boxes. 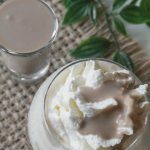 We have made a killer Irish cream nice cream, and now you could make it more paleo friendly if you make this dairy free Irish cream recipe 1st!! The best part of this recipe is it is so adaptable! 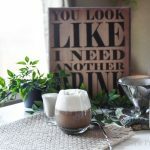 Looking for a great dairy free Irish creamer for your coffee? Done! 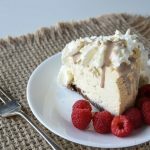 Looking for a keto or paleo-friendly treat? Bingo! Looking for an adult sipper? Yeah! Not just for St. Paddy's, but all year long! Towards the holidays this will be in heavy rotation, I think it would also make a great gift! 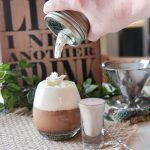 Have you ever made your own Irish cream? Do you have big Paddy's day plans? 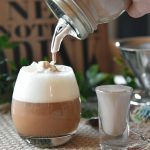 This Irish creamer is full of flavor without the additives. Paleo, Keto, low carb and dairy free. You can use this for coffee, on cheesecake or straight up over ice! 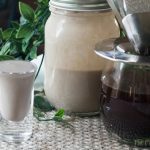 Combine coconut milk, Swerve, espresso, almond extract, vanilla extract and cocoa powder. Bring to a boil and immediately reduce to a simmer, stirring occasionally. Simmer for 10-15 minutes depending on how thick you would like it. Add Irish whiskey and whisk in, if you are keeping it as non-alcoholic add the milk or milk substitute. If you want it less strong you can adjust the recipe, however you would like, less, more or none. If you want to keep it really thick you can leave it just as it is (this is great on a cheesecake or drizzled on top of whipped cream). Put into a jar and refrigerate. Shake well before using. Not sure how long this will last 2 days- 2 weeks, but it likely won't last that long! This sounds amazing! I’m always on board when there’s espesso involved. Right? Love a good espresso! such a great idea! I am am always ho-hum about the ingredients I see in other creamers…so this is wonderful to see! So many preservatives and chemicals! OMG! This looks SOOOOO good! Can’t wait to try it. Fantastic recipe!! 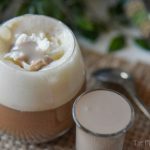 There’s nothing like a good Irish cream coffee. The craving does call me this time of year. Love the ingredients and simplicity of this recipe. Drinking some in my coffee right now! TGIF! espresso is like a warm hug! 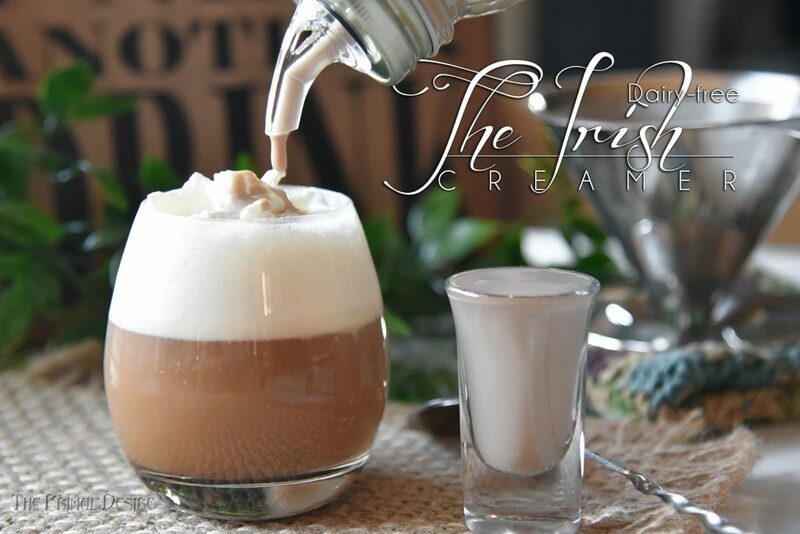 That is the perfect creamer for Saint Patrick’s Day! Wishing I had this in my coffee right now! That looks absolutely gorgeous and yummy ! This looks so good! Love that it’s low carb too! Could you substitute Swerve for Truvia? I am sure that you could! Or if you aren’t looking for low carb, maple syrup would be great as well! Ooo this is super fun! What a great treat – definitely trying this! It’s the best!! Thanks Renee!